Seriously, You're Already Awesome for Being Here! You serve, or have served in Student/Youth Ministry, or maybe you're a parent or lead pastor curious as to why there is shaving cream and broken glow sticks all over the youth room. 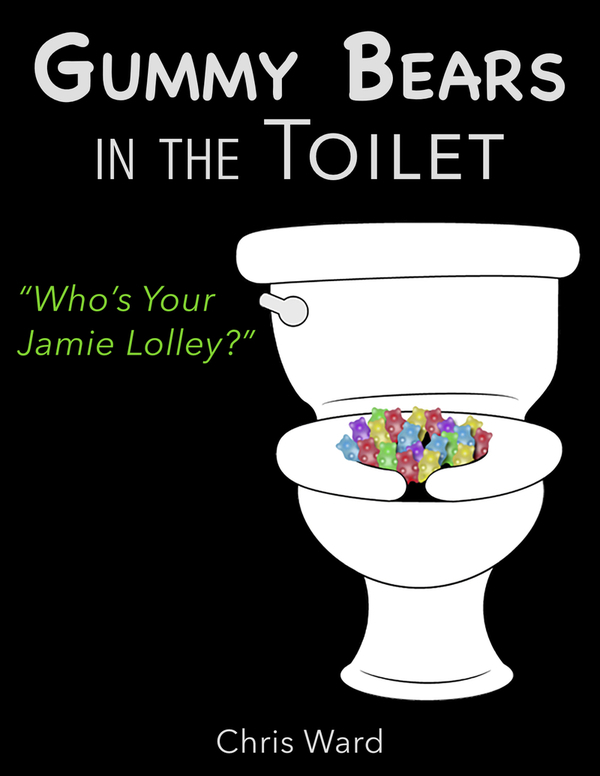 Regardless your position or relationship with current 6-12th graders, I suggest giving your brain a quick vacation by reading "Gummy Bears in the Toilet" and gain inspriation, insight, and encouragement about working with students in todays local church. Stay tuned for more to come to make this website even more awesome...and welcome to the family!! Buy on Barnes & Nobles Here! GET THE BEST PRICE ON BOOK! Buy The Print Copy via LuLu.com and receive a FREE bag of gummy bears mailed to you! - That's right, DELICIOUS GUMMY BEARS FOR YOU! Chris Ward and his family reside in Little River, SC outside Myrtle Beach. 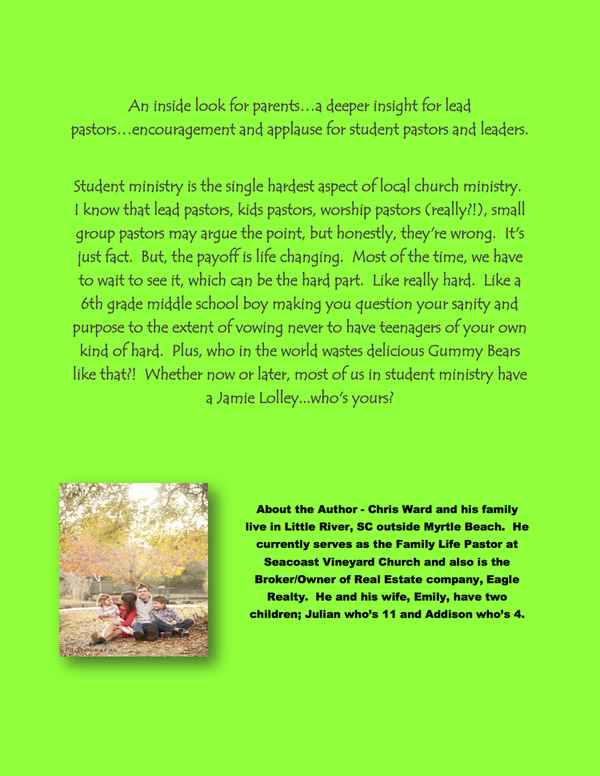 He served as the Family Life Pastor at Seacoast Vineyard Church and has worked with Student, Kids, and College ministry for over 12 years in the local church. He has a Bachelor degree in Marketing & Management and owns and operates a Real Estate company in Little River. He also obtained his Master's Degree in Discipleship Ministries from Liberty Theological Seminary. then click the "BUY THE BOOK NOW" button above to read more! Youth Pastors Best Price Here! I live in (and love) #northmyrtlebeach - check out Eagle Realty FB of for info!! Questions, Thoughts, Awesome Comments? Let us know!